This article is paired with a companion repository. Get your free code while it is fresh. For a long answer to this question read our introduction on WebAssembly: Why should you care? The short answer is that WebAssembly can permit to compile seriously complex application into an efficient binary format, that can be run in web browsers with good performance. At the time of writing 71% of browsers support WASM. Edge, Firefox, Chrome, Safari: they all support WASM. People on IE or weird mobile browsers are left out in the cold but every desktop users who bothered to get its browser from this century has support for WASM. In some browsers WASM could be supported but be disabled by default. On recent Chrome and Firefox it should be enabled by default. It is time to get ready for WASM. 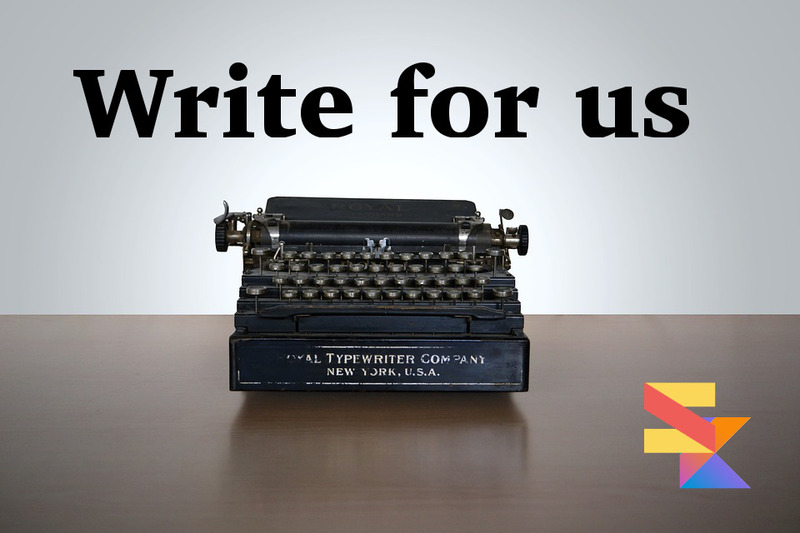 Or do you want to left behind to play with Cobol & Fortran? The first thing we should notice is that Kotlin supports WASM through its Kotlin/Native compiler. 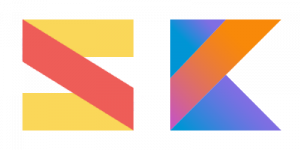 The Kotlin/Native compiler is based on LLVM and LLVM supports WebAssembly, ergo we can get WASM files from Kotlin source code. Anyway, if you still want to be able to call the compiler directly this is what you need to do. 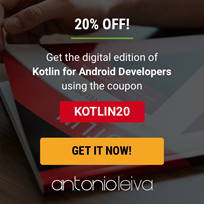 First of all you need to download the Kotlin/Native binaries. You can find them here. Now we can move to see how things work when using Gradle. At this point you can just use the build target and you are good to go. Well, almost, you still need the DOM library. Currently there are two libraries you may want to use with WASM. You can build them using the jsinterop tool which is distributed with Kotlin Native. Ok, this is not really super flexible, is it? It seems that there are two libraries supported when running Kotlin and WASM. So what you can do is build those two libraries and forget about the jsinterop tool. To save time I just built the dom and math libraries and added to the lib directory of the repository. Ok, now we can really get started, we have just to fire our IDE, right? 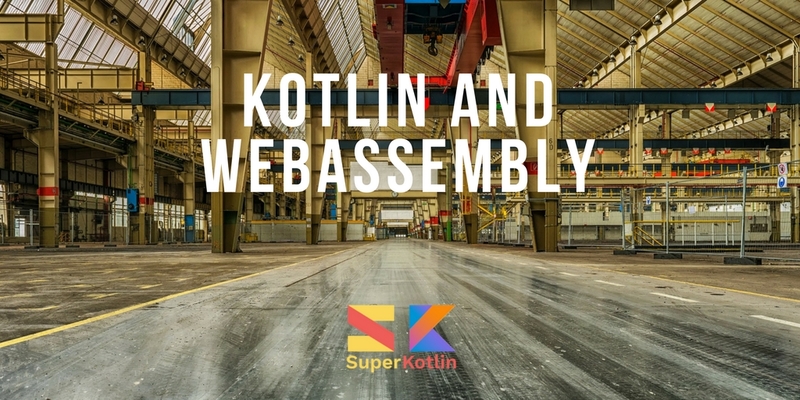 Currently there is an IDE with support for Kotlin/Native, ergo one IDE with support for writing Kotlin applications which compile to WebAssembly. That IDE is CLion, from Jetbrains and… it is not available for free. So, it is an issue? Yes, it is… but it is not as bad as you think. First of all many of us are professionals that work in companies making money out of software, so it should not be a taboo to pay for some tools. Should it be? Still, I understand that it is a problem for all the kids out there that are learning and cannot afford paying for a license. Well, there are two things to consider. You can just use IntelliJ IDEA to get Kotlin syntax highlighting but IDEA will not understand the WASM libraries and it will not know how to compile to wasm, so you will have to do that from the command line. Basically you will be using IntelliJ IDEA as it was an humble editor, not a full IDE. So, do not stress too much about the IDE. Great things are going to happen if you keep your heart pure and you keep wishing for it real hard. In the meantime, let’s program as our fathers used to do. Or as the weird guy still using vim is doing. 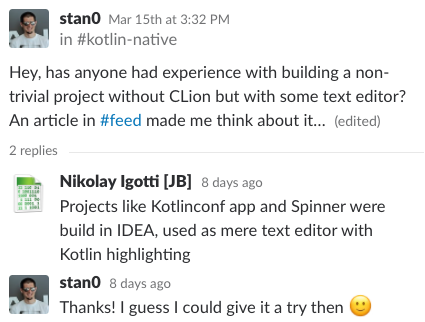 Our example is based on the application used by Jetbrains at the first KotlinConf. This application reads some data on votes and update constantly a graph to show the distribution of votes between five teams. Ok, how can we build this thing? So the main basically find the canvas element in the DOM, then it starts an infinite loop. In this loop every 100ms the loop function is called. What the loop function does? then it ask the view to update itself to show the new data. So now we can take a look at the model. Note that this is an object, not a class. That means we have just one instance of Model and the rest of the system (most importantly the View) can access it without the need of a reference. The model simply receive an array of data (one value for each “team”) and add it to its backlog. The backlog it is basically an array of 500 values, or in other words the last 100 entries of 5 values each. Initially it is set to contain just zeros but over time it start to be filled with the actual values received through push. Wonderful, now that we have data it is time to show that data. Basically in View we draw the data and update the labels. The most external labels indicates just the IDs of the teams: a number from 1 to 5. The more internal labels instead indicates the most recent values for each team. // we take one less, so that there is no jump from the last to zeroth. We have the code but now how can we use it? We are going to see that in the next paragraph. Finally there are the stats.wasm and stats.wasm.js. We get them just by running `./gradlew build`. But that is not enough, we also need to put those files in the directory that we are going to serve through http. So what we do is simply copying the wasm and wasm.js files from build/konan/bin/wasm32/ to web. Now we have all that we need, we just need to get all the pieces to the browser. How are we going to do that? Using a very simple http server. 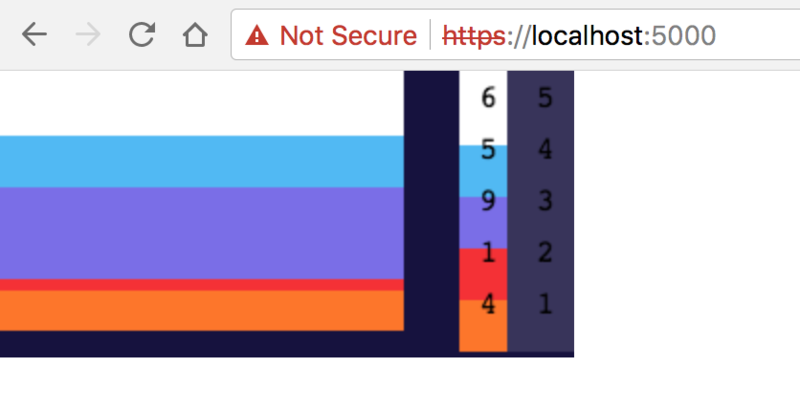 During development I prefer to use a simple solution, named simplehttp2server. You are surely a smart reader, able to figure out how to install it on your platform or find a valid alternative. Once you have installed all that you have to do is to go into your web directory and run simplehttp2server. The directory at this point should contain the html file, the wasm file, the wasm.js file, and the json file. Ok, nothing is going on but if you open the stats.json file and change it you should see the image change. Ok, but how can I expose a JS function to the Kotlin code? At this point let’s inject the symbol `imported_igotdata` and run the webassembly. I suggest you to slow down the loop from 100ms to 1000ms before trying this code…. To do that we can use the WebAssembly object to compile an entire script and run them or run single functions. However this is nothing specific to Kotlin. And this is it: a first example of a Kotlin application compiled to WASM. 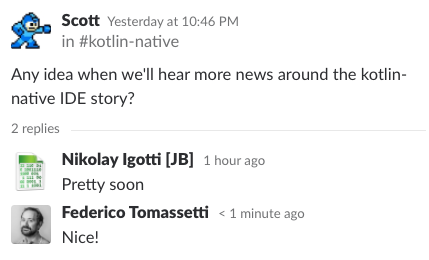 But things move fast in the Kotlin world. A free IDE is coming. The Kotlin/Native compiler is progressing at a fast pace. Things are going to be soon very interesting and we suggest you get ready and start being aware of what this new world looks like.